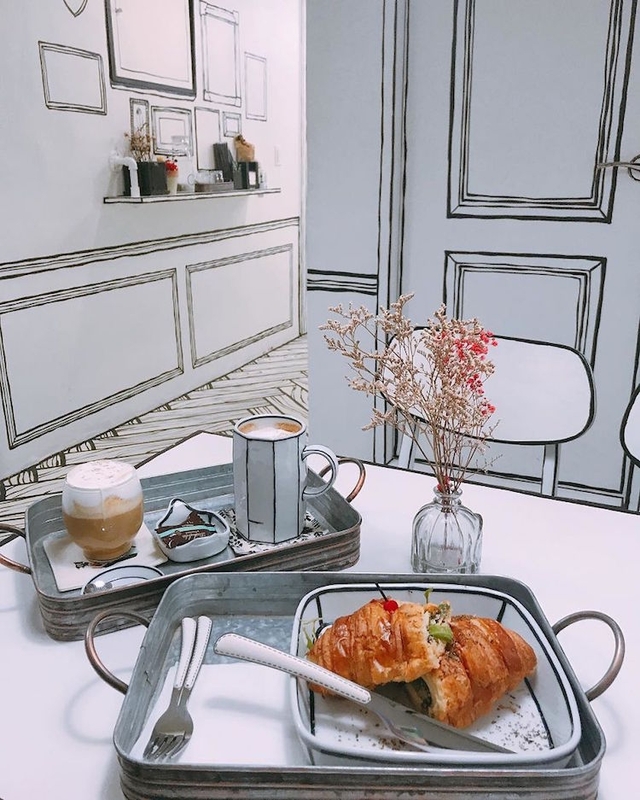 It’s never boring scrolling through a vibrant Instagram food scene, and it seems like every café these days is trying to satisfy the need of a hungry eye. 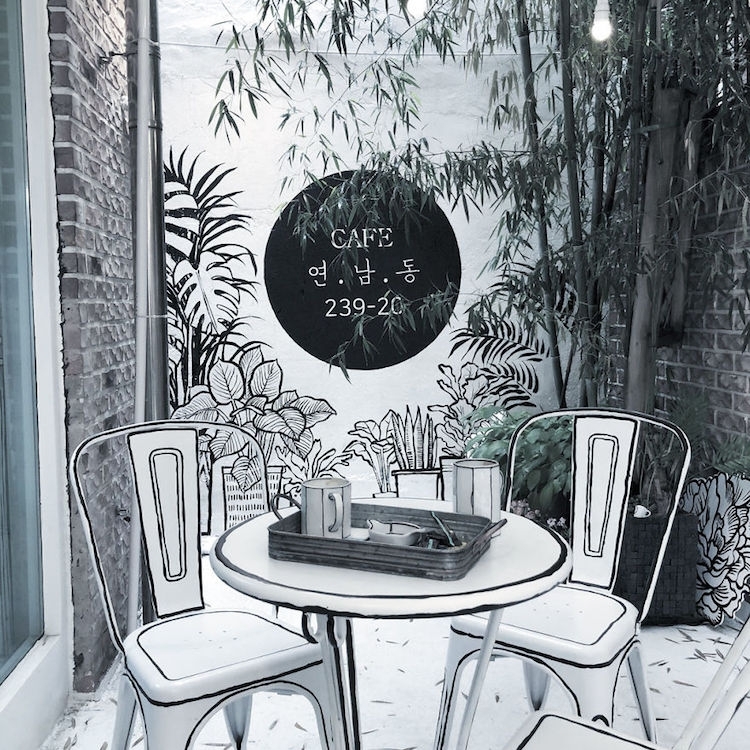 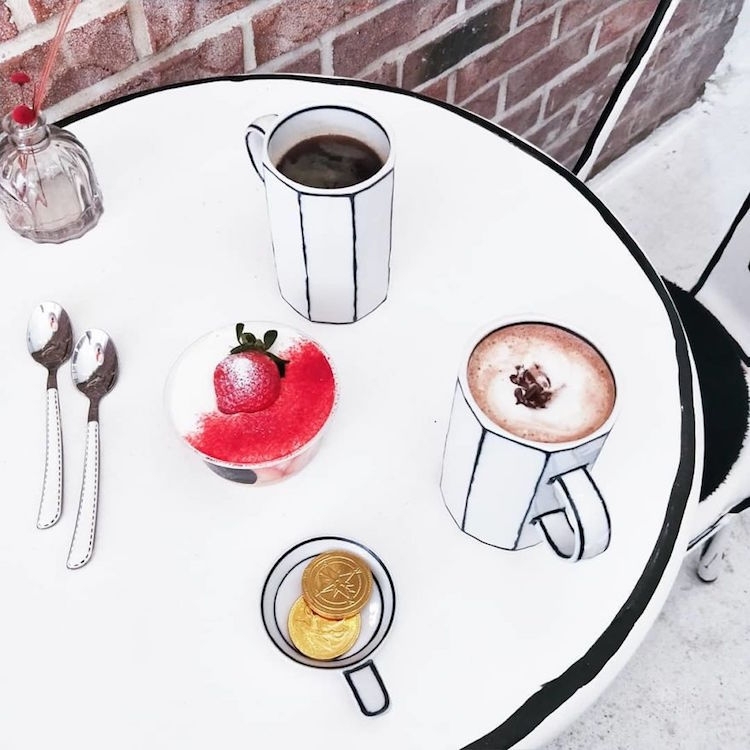 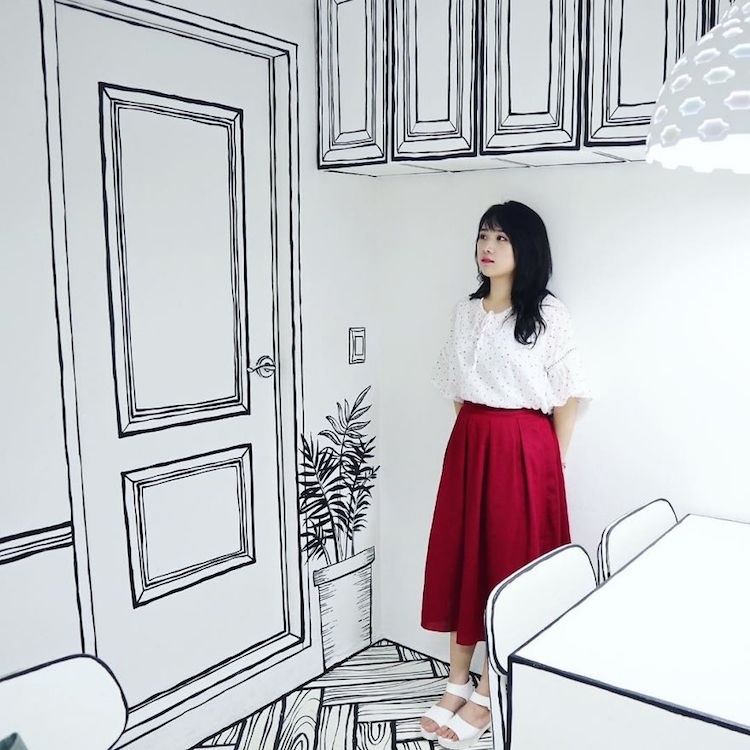 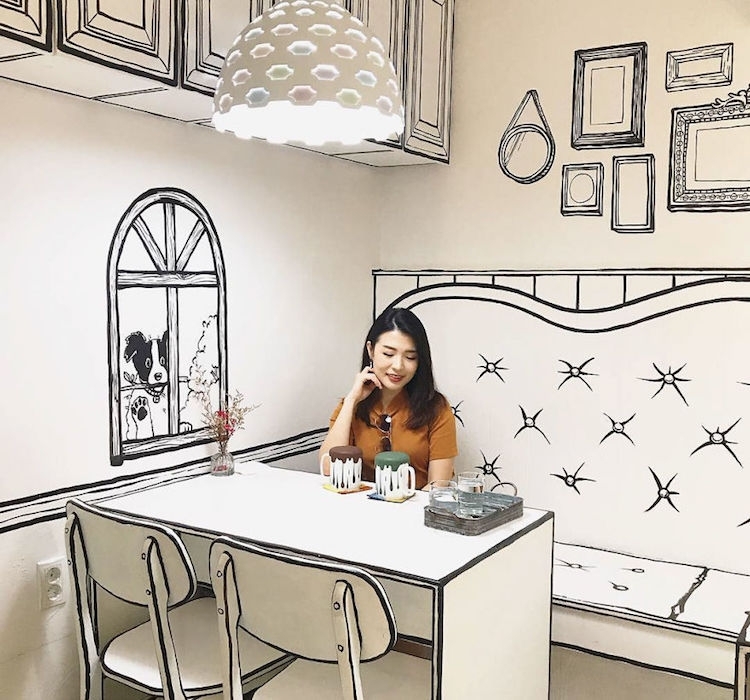 Of all the insta-worthy cafes, we raise you a café that will make you feel like you walked into a cartoon. 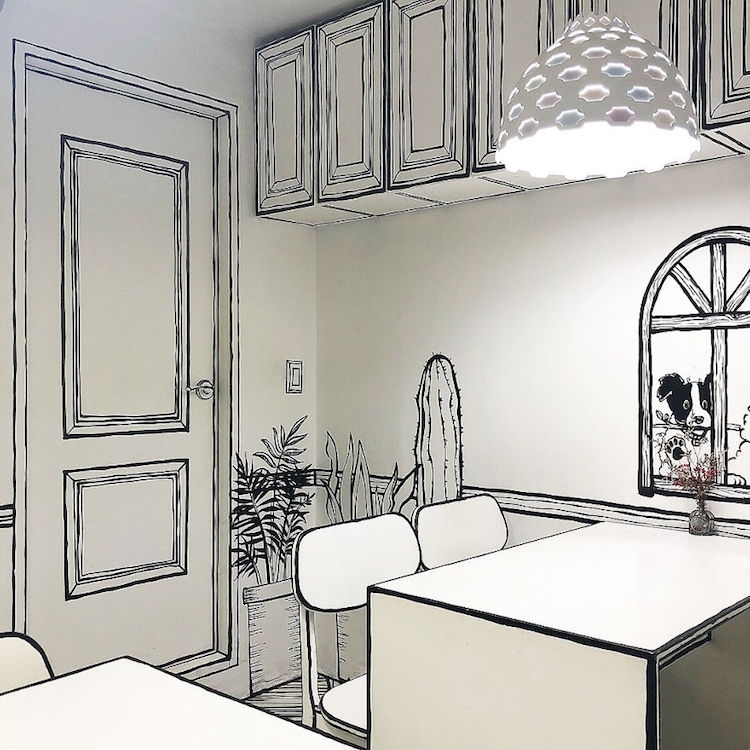 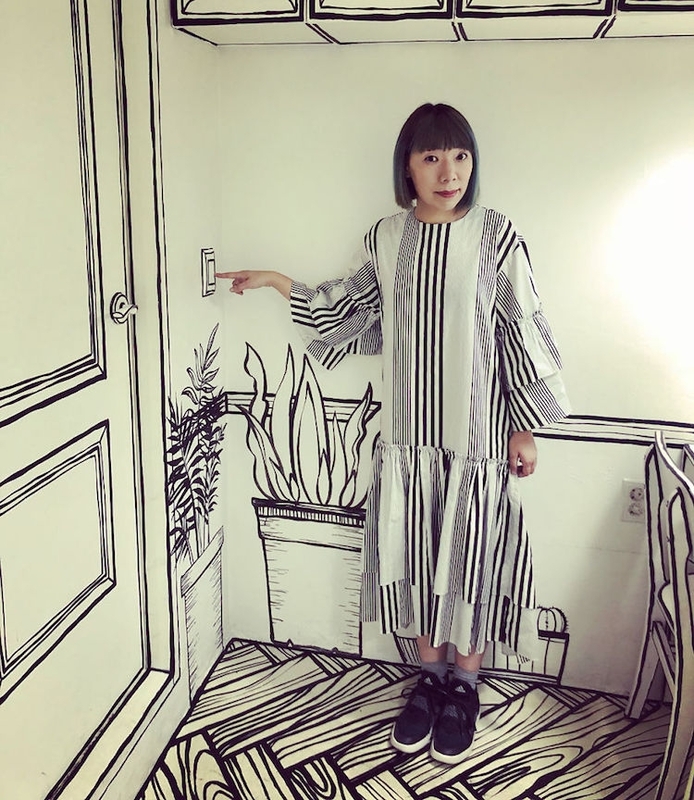 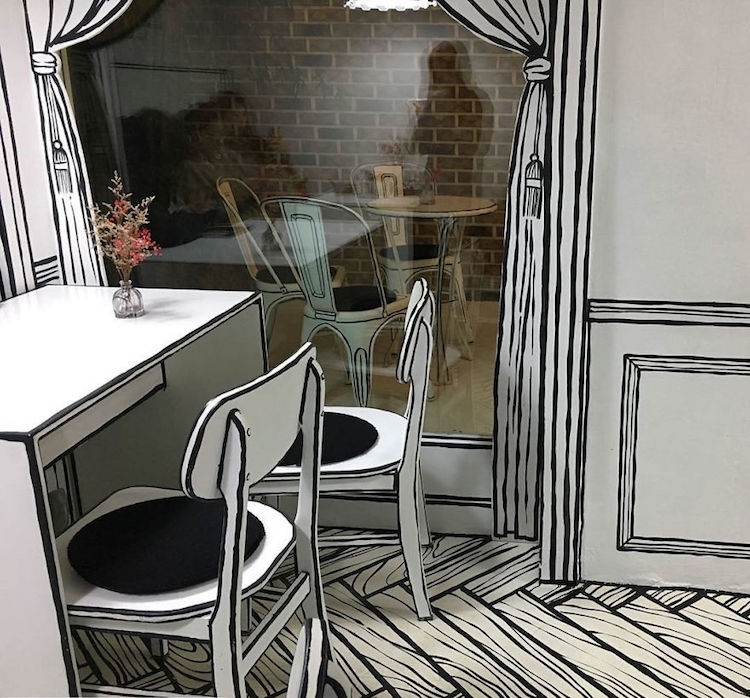 From the moment you cross the café’s doorstep, you are greeted by comic strips plastered all over the interior, from walls and floors to the furniture and dishes, so you can’t help but feel as if you magically found a secret entrance to the unreal comic world. 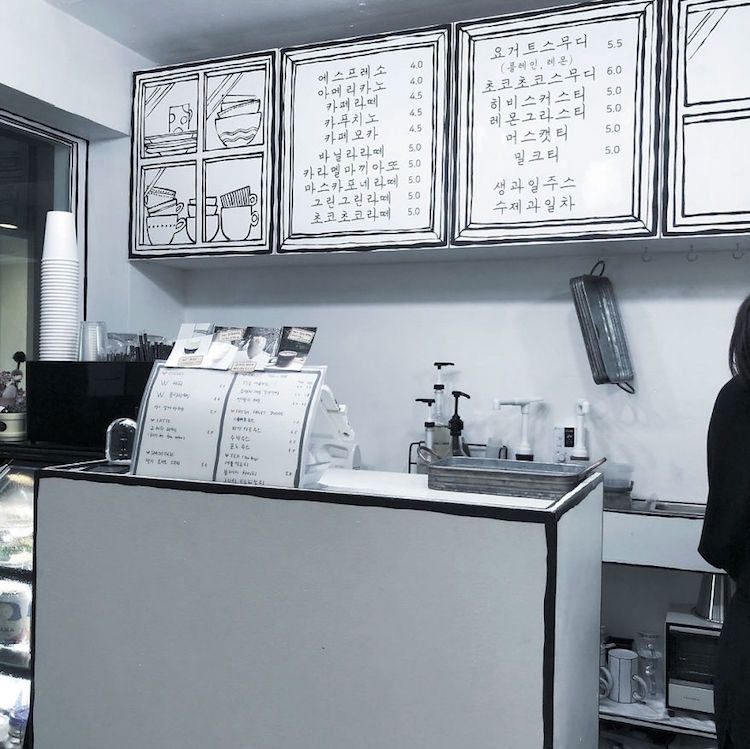 And it all makes sense, as Café got its inspiration from Korean TV hit “W – Two Worlds” by Lee Jong-suk and Han Hyo-joo, in which the characters enter a fantasy webtoon world. 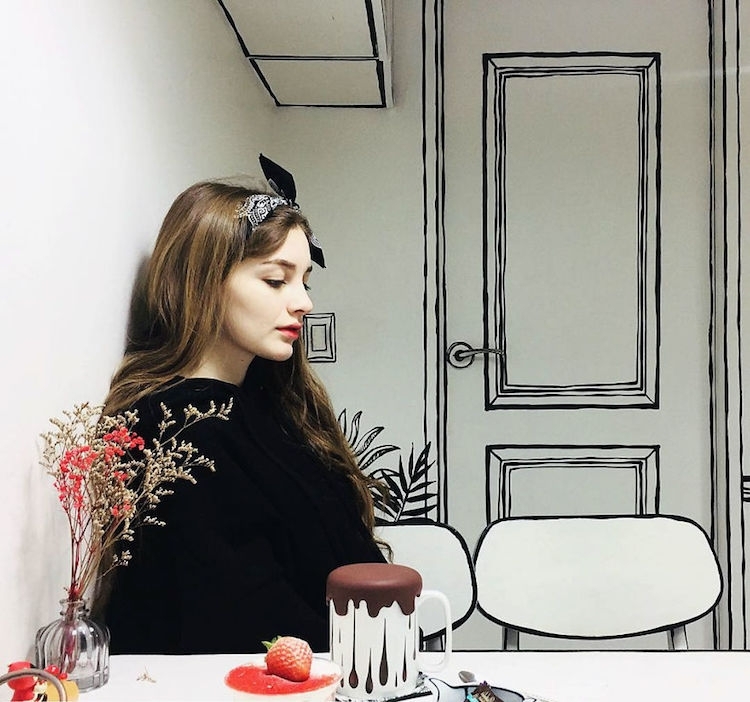 Sadly, if you don’t live in South Korea, specifically in Seoul, you will have to put a bit more effort to experience the illusion of being in a book. 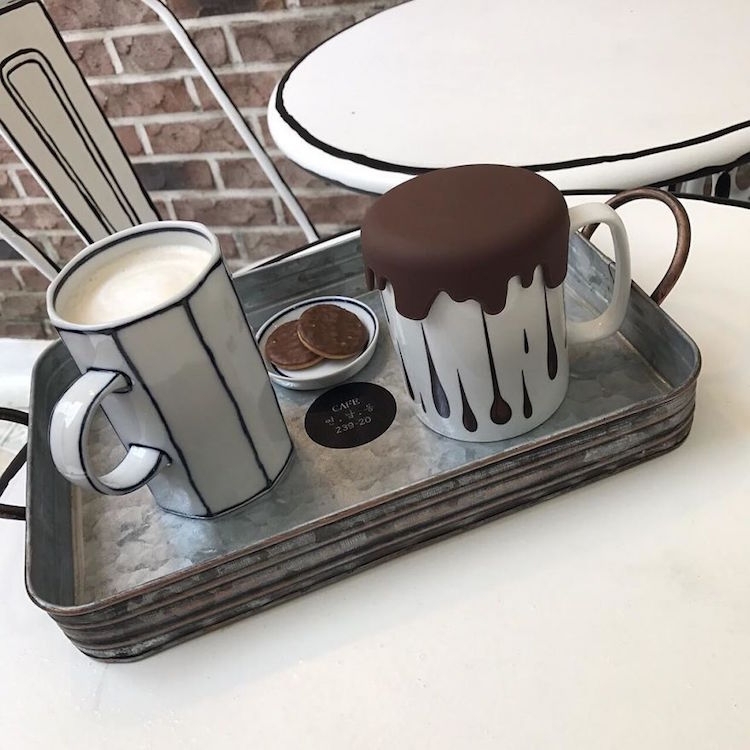 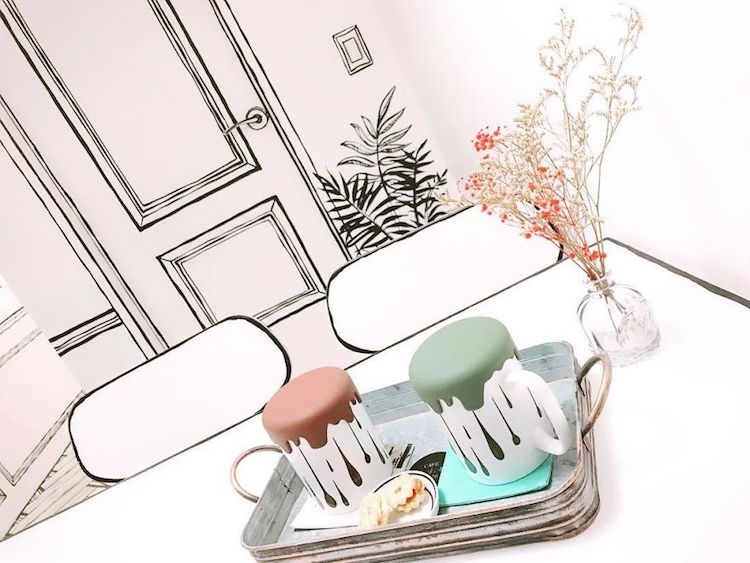 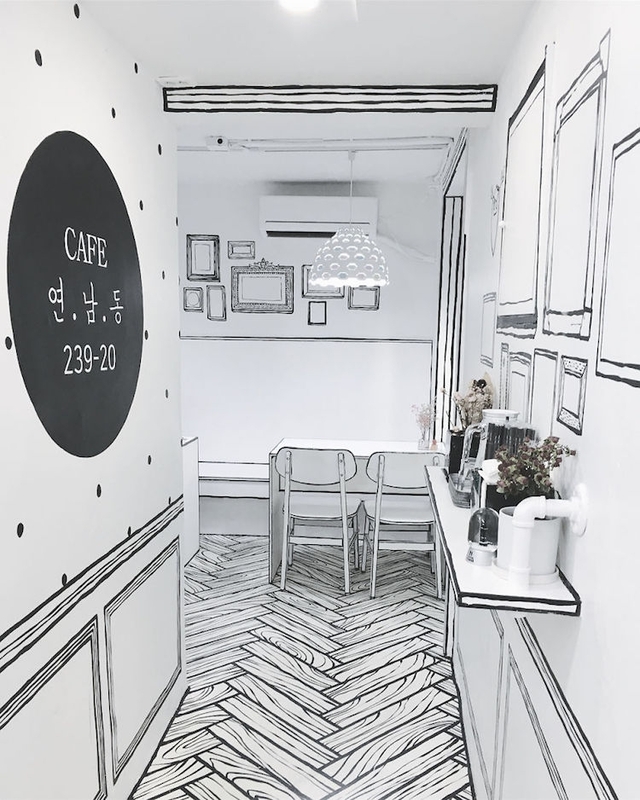 This small, but cozy café, opened in July 2017 and located in a popular Yeonman-dong district is called Cafe Yeonnam-dong 239-20 which is actually cafe’s address. 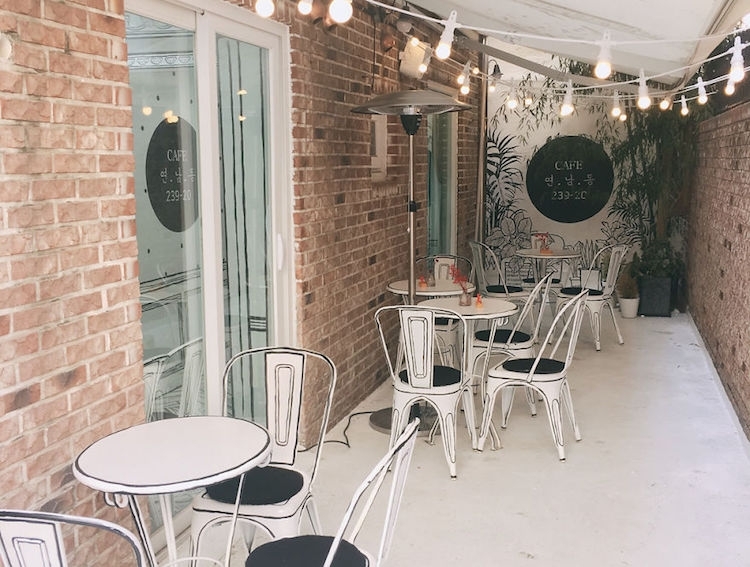 If you are a fan of illustrations, comics or instagrammable places, make sure to put this café in your itinerary next time you visit Seoul!